Good morning, Kirsten here. 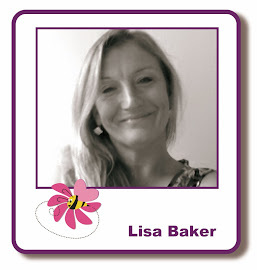 It's the start of a new week & the start of a new promotion fortnight on the Lisa B Designs Inspiration blog. This time we are focusing mostly on Imagination Crafts' Sparkle Medium & we have LOTS of samples to show you in the coming weeks. You must leave one comment on EVERY blog post - including this one - in the next two weeks from today, November 10, to the final post on November 23. You can make your comment at any time as long as it's before the midnight deadline on Sunday, November 23. The winner will be chosen by a random number generator & announced here on Monday, November 24. I have never used Sparkle medium before but have been wanting to try is so I am looking forward to getting lots of inspiration! I am looking forward to seeing all the creations for inspiration. I have lots of medium awaiting playtime! Who can resist this yummy glitter... Love sparkle medium, love stencils! I enjoyed iusing Sparkle Medium at class on friday and feel more confident now at having a go with it. Christmas cards with glitter here I come. Another great prize. Perfect for Christmas! I donated my prize to school last month for the students to use. If I won again it would be for me!! Love sparkle medium, so easy to use and great results. Looking forward to seeing all the inspiration.